We can hook you up with Medical Marijuana doctor coupons, deals, vouchers and great low price offers for first time Medical Marijuana evaluations or renewals in Riverside. 420EvaluationsOnline automated processes with a human touch make it possible for us to offer the most competitive price in the business and provide you with the best 420 deals. Where can I get quality marijuana legally. Where can I buy a good vape. How can I get a legal doctor's recommendation to use medicinal cannabis in Riverside? What are the local bylaws that affect every toker in Riverside. 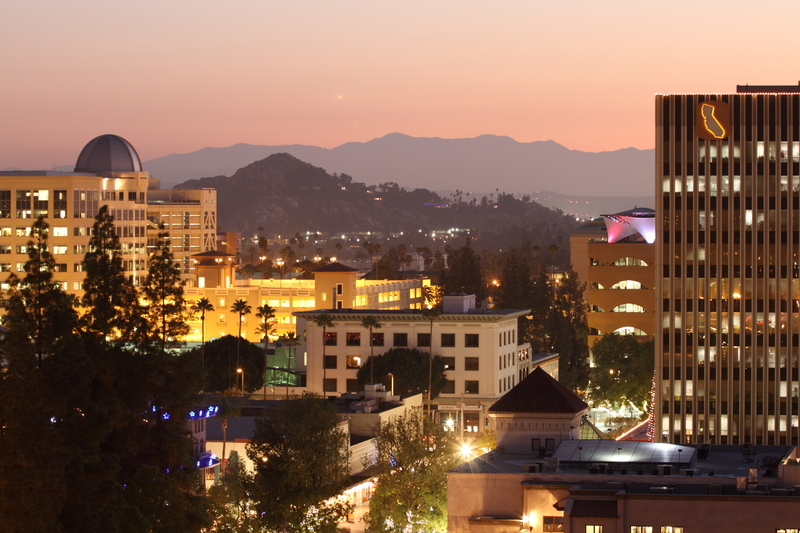 The city of Arts and Innovation is located in the Inland Empire metro area. Riverside gets its name from, you guessed it residing on the bank of the Santa Ana River. With a population of 330,000 (2016) it is the 12th largest municipality in California. The Inland Empire metro area boasts a population of about 1.4 million people ranking 24th largest in the US of A.
Riverside was settled in the mid 1800's as a farming community. Riverside is the original Citrus farming community in California. The City of Trees' outstanding Orange's soon became its major cash crop and claim to fame. Two original navel orange trees can be seen at the city's Citrus State Historic Park. Not long after incorporation, Riverside attracted investors from the British Empire, who transplanted their "sophisticated" ways and learnings into Inland Empire culture. including a fine assortment of clubs, restaurants, coffee houses and opera. Victoria Club, the first golf course in Southern California (1903), is the most famous remnant from this period. How Can I get a legal Medical Doctor's Recommendation to buy Medical Marijuana? Walk in clinics charge between $40 and $140 dollars for a medical Recommendation. Family doctors can give their patients Medical Marijuana Recommendations but be aware, only a fraction of them know and recommend Medical Cannabis. The Evaluation process is relatively simple and a these days, technology savvy doctors and patients go online to perform routine medical tasks. Click here to get or learn more about Medical Marijuana Recommendations in Riverside. You can also get a recommendation for Medical Cannabis from your family doctor, but beware, so it is best to go to a doctor who. You can get a legal doctor's recommendation here online here for under $50. Click here to Learn more..
For years, Riverside had some of the most restrictive cannabis regulations in the State of California. Prior to 2016, dispensaries, cultivation centers, and at-home grows for patients were banned. When the state allowed the municipalities to either regulate MMJ themselves or adhere to State guidelines, the city decided to loosen restrictions. WE DON'T WANT NO TROUBLE IN RIVER CITY: Mobile Marijuana Dispensing is prohibited in the City of Riverside. No person shall locate, operate, own, suffer, allow to be operated or aid, abet or assist in the operation of any Mobile Marijuana Dispensary within the City. Riverside is on the List of Cities & Countries that banned commercial Cannabis in California. "A majority of Riverside residents, up to 67 percent oppose a measure legalizing marijuana dispensaries according to a poll commissioned by the City of Riverside. Opposition grew as people learned more about the Weed measures." RIVERSIDE: 4 city issues that matter in the mayor's race May 14, 2016. "Riverside doesn't allow dispensaries, but candidates for mayor are split on whether the city should rethink the issue - if recreational pot is legalized in the State." UNCLE BERNIE COMES TO TOWN: "Sanders was met with much enthusiasm from a definitely pro-marijuana crowd. Sanders expressed his dissatisfaction over laws regarding California Schedule I, that classified recreational marijuana use as a controlled substance without proven medical efficacy. " CONDOS ARE COOL. "The city council approved a $378,000 land sale last week for a series of condominiums leased to individuals who are licensed to grow medicinal marijuana!" Top Shelf MMJ Businesses in Riverside. Click to apply for Riverside Medical Marijuana Card renewal. Butane Hash Oil is a high powered extract of cannabis bud. Not for the meek, and the brave should beware, making BHO is as dangerous as hell..